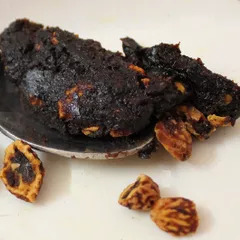 Elantha Vadai or jujube candy has historical values in TamilNadu. Once tasted the taste sticks to your taste buds. Very unique taste which none other eatery can match. High quality ezhandhavadai(jujube) made with care. 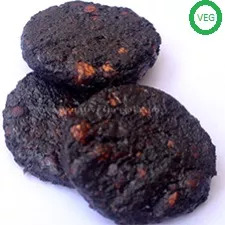 Snacks like Elandha Vadai were part of Tamil's culture which are developed based on the land mass and life style. This unique taste cannot be found any where around the world. My mom tasted and said it is having the traditional taste. But it has lots of seeds. Usually in our native place, when this is prepared they segregate the seeds from the dried fruit. The Ezhandavadai we got were not prepared in this mode. But taste wise it is same and good. Super taste . But can't enjoy the taste fully because of broken seeds . If the seeds are not broken or seedless will be the best .